Disney is a leading producer, owner, and distributor of media that owns, among many other things, broadcast network ABC; movie studios Pixar, Walt Disney Animation, Marvel, and Lucasfilm; Walt Disney Parks and Resorts that attracted nearly 150 million people in 2015 ; and cable sports network ESPN . Between ABC, its affiliates, and ESPN, Disney operates more than 300 channels worldwide, while its movie studios own the rights to The Avengers family and Star Wars . The last Star Wars release became the highest grossing domestic film earlier this year and with another releasing this December, the company’s film division remains strong . However, fluctuating results on the television side have led Disney to invest in new technologies and a desire to expand international reach birthed a new theme park in China, which opened earlier this year. Disney’s Chief Executive since 2005, Bob Iger helmed the acquisitions of Pixar, Marvel, and Lucasfilm. Since Iger’s promotion from Chief Operating Officer, Disney’s stock price has risen more than $70 while it’s TV division has come to account for half of the company’s profit . Nearing the end of his career, Iger has repeatedly delayed his retirement and most recently set 2018 as the expiration date for his own tenure. His last task will be selecting his successor, after a recent candidate failed to last as heir. Beyond Iger, various chairmen run each of Disney’s major compartments and the company’s board of directors is comprised of 11 members. However, it is this organizational chart, distributed by Walt Disney Studios in 1943, that largely explains Disney’s management philosophy . Rather than the typical hierarchy, the chart displays an interlocking web of managers, producers, and creators that are needed to produce a film. This organization is intended to encourage creativity and teamwork by emphasizing collaboration rather than chain of command. Each role supports, instead of merely instructing, another. Annual revenue, profit, and net income have increased yearly since at least 2013, as has Disney’s valuation of its assets and balance sheet as whole. Disney’s revenue dwarfs that of most of its competitors in media, exceeded only by Sony and other conglomerates that produce and own as much content as Sony and Disney. Disney’s stock price is similarly higher than most competitors, currently hovering around $100 . The company’s price per share seems to be inextricably linked to the success of ESPN, which is struggling with subscriber losses and adapting to the future (see “Investments in Technology” section below). Disney’s future focus is in technology as it attempts to revitalize ESPN and stay on the cutting edge of content creation and media. Primarily, in August the company invested $1 billion for a 33% stake in Major League Baseball’s BAMTech, a leading television streaming company. The deal included an option for Disney to take a majority stake in the company down the road. The first collaboration between the two will be BAMTech’s creation of a standalone streaming service for ESPN, which Disney hopes will help ease the network’s subscriber losses and struggling ratings. BAMTech adds 7.5 million paid subscribers across a multitude of streaming platforms to Disney’s already massive user base . The investment in BAMTech isn’t completely black and white, however. Television’s trend toward skinny bundles complicates the relationship between every content producer and cable provider, with Sling, DirecTV, Hulu, and more getting into the live over-the-top business. Disney’s BAMTech investment suggests a possibility that Disney itself could run a direct-to-consumer cable distributor itself . Throughout this year, rumors swirled about the possibility of Disney purchasing Snapchat, Twitter, and/or Netflix, though analysts agree: none of these are likely. Twitter’s struggle to remain profitable and stabilize its stock price creates nonstop purchase rumors, but it seems that Disney doesn’t stand to benefit much from a Twitter acquisition . Snapchat has proved to be a unique outlet for Disney’s content, but doesn’t seem to be a likely purchase for the social media company . Though the investment in BAMTech signifies Disney’s interest in streaming, Netflix doesn’t appear to be a perfect partner, either. Netflix’s dominance in the streaming market has waned as challengers such as Amazon and Apple have stolen subscribers . After the November 23 release of Moana, Disney is nearing $2.5B in total domestic box office gross for 2016 . With the top four grossing films of 2016 thus far (Finding Dory, Captain America: Civil War, The Jungle Book, and Zootopia), the company topped $6B in worldwide box office gross for the first time in its history . This new record will only increase as Moana and Doctor Strange continue to screen and Disney’s final 2016 film releases: the newest film, Rogue One. Beyond the box office, movies like Star Wars, Finding Dory, and Moana provide massive profits in merchandising, both in America and abroad. In 2013, Disney merchandise sales brought in over $40B. On June 16, Disney’s fourth international theme park opened in Shanghai, with the tagline “authentically Disney, distinctly Chinese” . The company avoided western branding and symbols by changing street names within the park and by filling the concessions with 70% Chinese food. Traditional Disney characters can be seen wearing traditionally Chinese silk costumes and speaking the native language. The Shanghai Disney Resort seeks to take advantage of the massive potential offered by China and the wider Asian market. Despite Disney’s losses in television, its massive successes at the box office in 2016 have made up for it. The control of Star Wars, Marvel, and Pixar promises success in the motion pictures department nearly every year. Further, Disney’s land holdings of theme parks underscore the company’s finances with physical propoerty–while most media conglomerates own intellectual property, Disney holds more tangible assets as well. The company’s investments in technology put it in a good place for the future–its theme parks’ MagicBands have already proven successful. But while the company must hope these investments pay off, it also faces the uncertain future of navigating an evolving marketplace with a new CEO. Iger’s selection of his successor is by far the most important storyline to follow within the massive world of Disney. Known for it’s numerous films; The Weinstein Company is responsible for the distribution of such movies as The Reader, The King’s Speech, and Silver Linings Playbook and within this past year Macbeth, Carol and The Hateful Eight. A winner of multiple prizes when it comes to awards season, The Weinstein Company is a dominant film distributor and, though still relatively new to Hollywood, is distributing films that have received numerous critical accolades and various nominations among other accomplishments. In 2005, the founders of Miramax (1979), Robert and Harvey Weinstein, launched the distribution company known as The Weinstein Company. Dimensions Films is also part of The Weinstein Company as a genre label founded in 1993 by Robert Weinstein. The Weinstein Company has received over 300 Oscar nominations and has won 81 Academy Awards in the short time since it’s founding. The Weinstein Company also is very strong in the realm of television; however, the focus here will be placed on its accomplishments and noteworthy happenings in film. Headquarters for the company are located in New York, NY. The Weinstein Company does not disclose for the public it’s financial reports. Known for it’s award winning films, The Weinstein Company saw a year in which none of its films were nominated in the Best Picture category, the first time since 2008. The Weinstein Company has boasted films such as The King’s Speech and The Artist, both of which took home the Oscar for Best Picture. The year 2016 saw The Weinstein Company receiving ten nominations for it’s three films Carol, The Hateful Eight, and The Hunting Ground. For these three films that did receive nominations, The Hateful Eight won the Oscar for Best Original Score, by Ennio Morricone. Harvey Weinstein has been known to be associated with the Oscars and for campaigning heavily for his nominated films, dating back to before the founding of The Weinstein Company through the Weinstein brother’s previous company Miramax. With the issue of this awards season being equal representation of races in film, Weinstein had stated he would cause a stir with the Academy if Ennio Morricone did not win for his category. 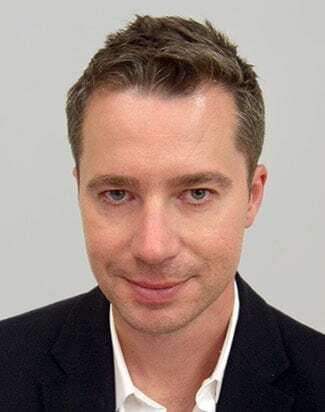 Erik Lomis, former Distribution Chief for The Weinstein Company, left his position as of March 2016 to pursue the role of Lead Distributor at Megan Allison’s Annapurna Pictures. The news came in early March of 2016 as Lomis decided not to renew his contract with The Weinstein Company. Lomis has created positive business relationships with theatre owners and various talents in the film industry. Lomis is credited for taking Quentin Tarantino’s ambition to release The Hateful Eight in 70mm and making the idea come to fruition. Lomis is not the only associate to leave The Weinstein Company as of recently. RADiUS-TWC heads Tom Quinn and Jason Janego exited in summer of 2015. Meryl Poster, former TV President, and Stephen Bruno, Marketing Chief, also dissolved their relationships with The Weinstein Company. With the loss of Janego and Quinn, The Weinstein Company is reconfiguring its boutique distributor RADiUS, responsible for such films as It Follows and Citizenfour. The Weinstein Company is currently planning to expand RADiUS day-and-date releases into new niche markets. An interviewing process has begun for the role of senior acquisitions executives to manage the VOD division. RADiUS is credited in helping The Weinstein Company with a scaled down, multi-platform release of the film Snowpiercer. The Weinstein brothers are also currently downsizing with a more focused slate of films for the 2016-year. The Weinstein Company’s latest film to come to theaters is Jane Got a Gun, starring Natalie Portman and Joel Edgerton. The film had been hit with constant delays. In production, Jane Got a Gun’s original director, Lynne Ramsay, quit, various casting changes were made, and the loss of an original distributor, until The Weinstein Company acquired it in September of 2015.The film premiered at the Museum of Modern Art in New York on January 27, 2016. With an unknown production budget, Jane Got a Gun’s wide release date was January 29, 2016. The film’s domestic gross is currently $1,513,793 and made $835,572 in its opening weekend with it’s widest release being shown in 1,210 theaters. The close date for the film was February 25, 2016. With a shift to television, The Weinstein Company will be releasing fewer films this year. As of now, The Weinstein Company has three films with set release dates; The Founder is being released August 5, 2016, Hands of Stone is set to be released August 26, 2016, and Lion is going to be released November 25, 2016. Originally, The Weinstein Company had the release dates for The Founder and Lion switched. In previous years, The Weinstein company has seen much success when releasing it’s films around the Thanksgiving holiday, which may be the cause for the change in the McDonald’s origin story starring Michael Keaton being released in August rather than November. Lion, a more touching family story, has the advantage a very dominant cast, including Nicole Kidman, Dev Patel and Rooney Mara, who recently saw success with her second Oscar nomination for Carol, another Weinstein Company production. With the changed date, this means publicity for The Founder is beginning in full swing. The trailer for the film premiered on April 21, 2016 and a poster for the film was previously released. 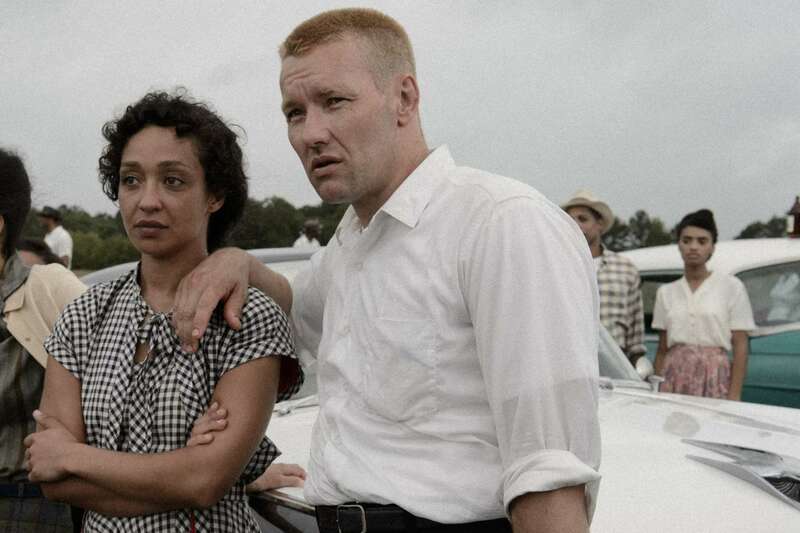 By creating space between the two films, The Weinstein Company is offering opportunity for its films to be considered awards season bait as they are spread further apart. Further in the future, Rooney Mara will be working in another Weinstein production, portraying New Testament figure Mary Magdalene in a biopic. Being eyed to play the role of Jesus Christ is Joaquin Phoenix. A deal is in the works with the actor for the Garth Davis film. In terms of distribution, The Weinstein Company will be working with the production company See-Saw Films, with whom they worked with on the release of The King’s Speech, Macbeth, and this November’s Lion. Helen Edmundson and Philippa Goslett write the film’s screenplay, and production is scheduled to begin this summer. The Weinstein Company is planning to release the film in 2017. Founded in 2004 by venture-capitalist and movie enthusiast, Ryan Kavanaugh, Relativity Media has and continues to produce, distribute, and structure financing for more than 200 films through their Relativity Studios division. These films have successfully accumulated more than $17 billion of revenue in the worldwide box office and generated over 60 Academy Award nominations . Upon its inception, Relativity Media was widely praised for reimagining the Hollywood landscape in their buying of “textured, mid-budget films… To bankers, Kavanaugh appeared to have cracked the code, having come up with a way to forecast a famously unpredictable business by replacing the vagaries of intuition with the certainties of math” . After six years of financing and distributing high-profile films for major film studios like Sony Pictures Entertainment and Universal Pictures, Relativity Media began making and distributing their own movies in 2010 with their first original film, Season of The Witch (2010). Many industry professionals predicted the company’s downfall after witnessing Kavanaugh’s proven history of financial irresponsibility . Yet Relativity persevered, dealing out successful high-grossing films like Immortals (2011 – $83.5 million), Limitless (2011 – $79.3 million), and Safe Haven (2013 – $71.3 million) . Ryan Kavanaugh’s algorithmic, low-risk business model finally proved to be successful. With over $560 million of assets by the summer of 2015, Relativity seemed relatively untouchable. Yet when an outstanding $330 million in debt to various lenders came due in July of the same year (not to mention the $1.8 billion of debt due in the following years), Relativity was forced to file for Chapter 11 bankruptcy protection on July 30th in New York State Bankruptcy Court . With this major speed bump in Kavanaugh’s plan for the future of Relativity Media, the production company came out of the 2015 fiscal year on a surprisingly high note: ranking 12th amongst all other production companies in total market share with 0.6%, and grossing $74.2 million on four movie releases (making them the third largest mini-major production company) . Similarly, things began to look up for Relativity Media at the start of this Spring when United States Bankruptcy Judge Michael Wiles confirmed a reorganization plan for Relativity on February 8th, 2016. With an offer from Trigger Street Productions‘ notable industry moguls Kevin Spacey and Dana Brunetti, Relativity was set to have their debt reduced by over $630 million . Although the deal included Relativity losing their television, fashion, and sports agency divisions to various lenders as a partial settlement for their egregious debt, the film division, Relativity Studios, was granted approval to release their upcoming films Masterminds, The Disappointments Room, Before I Wake, Kidnap, and The Strangers 2 upon successful completion of the deal. Just one month after the negotiation was proposed on the other hand, Spacey backed out, citing his busy acting schedule as an excuse for his inability to serve as Relativity Studio’s new chairman . 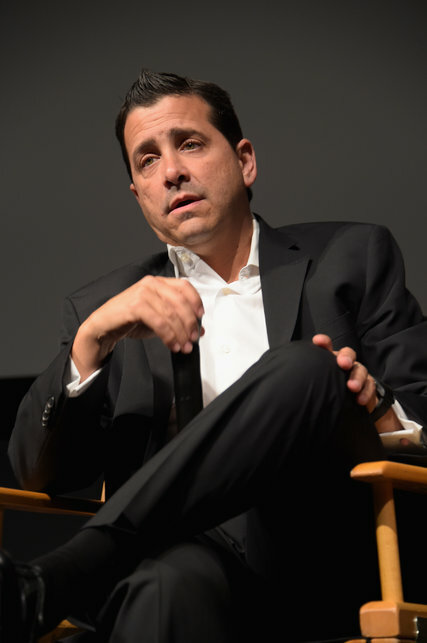 Brunetti did remain on board, however, and now serves as the studio’s President of Production in both film and television operations . After multiple other financial dealings fell through including the unsuccessful Trigger Street negotiation, Relativity entered bankruptcy court once again on March 19th, now with only $16 million of financial help from various capital groups, as opposed to the $100 million Kavanaugh had pledged upon filing Chapter 11 . 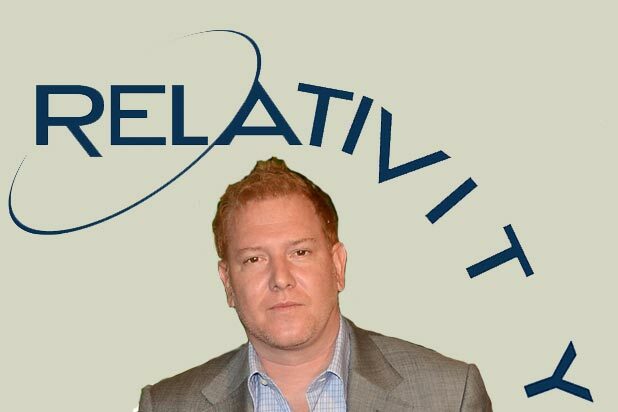 On top of Relativity’s fruitless financial dealings, news broke of Relativity Media’s apparent ‘Ponzi Scheme’ in late March. According to Variety magazine’s online article, “The New York investment firm Colbeck Capital aided and abetted Relativity Media’s fraudulent acquisition of a crucial film-release loan — money that was misspent on corporate expenses and to support the high-flying lifestyle of Relativity founder Ryan Kavanaugh” . This claim by RKA Film Financing seeks over $110 million in damages, and has the potential to put Relativity further in debt if found guilty . Amongst Relativity Media and Kavanaugh’s slew of shortcomings and failures to fulfill many of its early bankruptcy pledges, Judge Michael Wiles shockingly granted Relativity Media approval to exit bankruptcy status after many negotiations and a successful $400 million refinancing plan with UK investment firm, Maple Leaf Films (of Maple Leaf Capital Group) . While the investment company has an oddly shady past and limited credits in the film industry, Maple Leaf Films proved to be a significant life saver for the drowning Relativity Media. In the meantime, as they begin the post-bankruptcy reorganization phase, Relativity must face RKA Film Financing and FTI Consulting in court. In the coming months, Relativity will attempt to resolve RKA’s ‘Ponzi Scheme’ claim against the company, and FTI’s fee dispute that began in the summer of 2015 and could cost Relativity an added $4 million of debt . Upon Relativity Media’s ultimate emergence from bankruptcy, Ryan Kavanaugh and his newly diminished team of industry professionals will continue in their attempt to regain the reputation that was lost in the summer of 2015. With the help of Maple Leaf Films’ convenient endorsement and Judge Wiles’ thoughtful compassion in bankruptcy court, Relativity looks to rebound with its upcoming films Masterminds (which was postponed from its original 2015 release), The Disappointments Room, Before I Wake, Kidnap, and Strangers 2. After a full year without a release, Relativity needs a break. While these upcoming releases do not necessarily ensure a future of success for Relativity, the big-named high-profile comedy, Masterminds, looks to be the company’s one saving grace. With Kristen Wiig, Zach Galifianakis, Owen Wilson, and Jason Sudeikis as the headlining cast, the 2016 comedy earned a 96% in the “Want to See” category on Rotten Tomatoes . While it falls under the throw away genre of stupid comedies, it is likely to make Relativity some much needed cash. Check out the trailer below. There is no certainty when it comes to the future of Ryan Kavanaugh and his brainchild, Relativity Media, but on Relativity’s website dedicated to the company’s reorganization, the CEO and Chairman of the board said it best. While their shaky past two years have further diminished the reputation of a company once recognized as a revolutionary force in the film industry, Kavanaugh promised that “the Relativity that emerges from the Chapter 11 process will be better capitalized and have greater financial flexibility” . Finally, here’s a sneak peek of Realtivity Media’s upcoming film slate directly from their website. Screenshot of Relativity Media’s upcoming film slate direct from their corporate website . Logopedia. “Relativity Media – 2013 (Free Birds).jpg.” Wikia. Retrieved on: April 22, 2016. “Relativity Corporate Site – Leadership: About.” Relativity Media. Retrieved on: April 22, 2016. Wallace, Benjamin. Janruary 25, 2016. “The Epic Fail of Hollywood’s Hottest Algorithm.” Vulture Magazine. Retrieved on: April 22, 2016. “Relativity Corporate Site – Leadership.” Relativity Media. Retrieved on: April 22, 2016. Siegel, Tatiana. August 05, 2015. “Relativity’s Ryan Kavanaugh Breaks Silence, Points Fingers in Emotional Post-Bankruptcy Interview (Exclusive).” The Hollywood Reporter. Retrieved on: April 22, 2016. “Box Office By Studio – All Time: Relativity.” Boxofficemojo.com. Retrieved on: April 22, 2016. “Studio Market Share – 2015.” Boxofficemojo.com. Retrieved on: April 22, 2016. Gardner, Eriq. February 08, 2016. “Judge Officially Confirms Relativity’s Reorganization Plan.” The Hollywood Reporter. Retrieved on: April 22, 2016. Rainey, James. March 10, 2016. “Colbeck Capital Aided Ryan Kavanaugh’s ‘Ponzi Scheme,’ Film Lender Claims.” Variety Magazine. Retrieved on: April 22, 2016. Rainey, James and Lang, Brent. March 15, 2016. “Without Kevin Spacey or New Equity, Relativity Now Must Face Judgment Day.” Variety Magazine. Retrieved on: April 22, 2016. Lang, Brent and Littleton, Cynthia. March 13, 2016. “Relativity Relaunch: Kevin Spacey Nixes Chairman Role, Dana Brunetti Sets Deal.” Variety Magazine. Retrieved on: April 22, 2016. Rainey, James. March 17, 2016. “Relativity Media Claims Lifeline From Obscure Maple Leaf Films.” Variety Magazine. Retrieved on: April 22, 2016. Cunningham, Todd and Donnelly, Matt. July 30, 2015. “Ryan Kavanaugh’s Relativity Media Declares Chapter 11 Bankruptcy.” The Wrap. Retrieved on: April 22, 2016. “Masterminds (2016).” Rotten Tomatoes. Retrieved on: April 22, 2016. “Relativity Corporate Site – Reorganization.” Relativity Media. Retrieved on: April 22, 2016. “Relativity Corporate Site – Films.” Relativity Media. Retrieved on: April 22, 2016. Movieclips Trailers. “Masterminds Official Trailer #1.” YouTube. Retrieved on: April 22, 2016. Twentieth Century Fox Film Corporation, commonly referred to as 20th Century Fox or Fox, is an international film production and distribution company headquartered in Los Angeles, California. 20th Century Fox is a subsidy of the 21st Century Fox Corporation, which also owns assets in television stations, television broadcast networks, and cable network programming. Fox is a part of the “Big Six” film studios, which includes Columbia, Warner Brothers, Disney, Universal, and Paramount. The “Big Six” serve as Fox’s main competition. 20th Century Fox owns the rights to a number of valuable franchises including, X-Men, Ice Age, Die Hard, and Planet of the Apes. Fox is also known for distributing the two highest grossing films of all-time, Avatar and Titanic, both of which were directed by James Cameron . The origins of 20th Century Fox began in 1915 when film distributor William Fox established his own film production company after moving out to Los Angeles called Fox Films. In 1935, Twentieth Pictures’ Joseph Schenck and Darryl F. Zanuck left United Artists and merged with Fox Films to create the 20th Century Fox Film Corporation . In 1981, the company was sold to investors Marc Rich and Marvin Davis. They subsequently sold the company to Rupert Murdoch, who merged the company into his own media conglomerate, News Corp, in 1985. News Corp was split into two companies in 2013. There is now the new News Corporation, which contained most of Murdoch’s print media assets, and 21st Century Fox, which specializes in filmed entertainment and is the current parent company of 20th Century Fox . In the last fiscal year (June 30, 2014 – June 30, 2015), 20th Century Fox put out 25 films into general release domestically and they plan on releasing another 25 in fiscal 2016. Of those 25 planned films, Fox has already released six titles including Fantastic Four, The Martian, and The Peanuts Movie. Fox’s most anticipated movies yet to be released in 2016 include Deadpool, X-Men: Apocalypse, and Independence Day Resurgence . Twentieth Century Fox and Fox2000 handles films for mainstream audiences. Fox Searchlight Pictures produces and releases smaller, independent films for specialized audiences. Fox International Productions, Inc. co-produces and acquires local-language films for distribution worldwide. Fox generates money from its films by distributing the films theatrically (domestically and internationally), through home media formats (such as digital distribution), on premium pay and SVOD, and on television and cable networks. Last year, the domestic home entertainment division for Fox released or re-released approximately 1,268 produced and acquired titles . For fiscal 2015, revenues at the Filmed Entertainment segment decreased $154 million, or 2%, as compared to fiscal 2014. Increased production and marketing costs as well as a decrease in home entertainment sales led to the change. 20th Century Fox’s parent company, 21st Century Fox Corporation, has seen their stock dip in the last year. After reaching a high of $37.49 in December of 2014, the stock has fallen to its lower point since January 2012. In September it stood at only $25.41. Even with the drop of its stock prices, 21st Century Fox Corporation saw profit increase by 54% in 2015 compared to the previous year. Profits were at $8.306 billion in 2015 versus $4.514 billion in 2014 . Directed by Ridley Scott and starring Matt Damon, Jessica Chastain, Kristen Wiig, and Jeff Daniels, The Martian is a science-fiction adventure film produced and distributed by Fox. It was released on October 2, 2015 and posted the second highest October opening weekend of all time with a $54.3 million haul. It has gone on to be Fox’s most successful film of the year thus far bringing in over $217 million domestically and nearly $500 million worldwide. It’s production budget of $108 million means the film will be significantly profitable for the corporation. The film’s box office revenue has the possibility of growing even further as many Oscar analyst predict it will be in the running for best picture, best director, and best actor. The Martian is unique because it is a standalone, original film which has achieved worldwide success . This sci-fi action-adventure film is a sequel to the 2014 hit Maze Runner. The film opened on nearly the same weekend as its predecessor and opened slightly under expectations. Scorched Trials brought in $30.3 million in its first weekend after opening on September 18, which was down from the 32.5 million opening of Maze Runner. The film, based off of the popular novel series, is directed by Wes Ball and stars Dylan O’Brien, Kaya Scodelario, and Thomas Brodie-Sangste. Even though it has only grossed $80.9 million domestically with a $61 million production budget, Scorched Trials has been saved by its international performance. It has grossed over $230 million overseas, which motivated Fox to greenlight the film’s sequel, Maze Runner: The Death Cure, due out in 2017 . This family animation film was released by Fox as part of their distribution deal with Blue Sky Studios. It was the first feature film in the Peanuts franchise in 35 years. It took over eight years to make, because the family of Charles Schultz, the creator of the comic, wanted the film to done with respect to his original work . The film opened to $44.2 million on the weekend of November 6, playing as counter-programming to Spectre, Although there are still a few major international markets left to open, Peanuts has 92.6% of its revenue coming from domestic totals as of 11/29. The film has been a domestic hit with $116.7 million grossed so far, but international performance may need to increase before the $99 million production can be called profitable . 20th Century Fox has three films to be released before the end of 2015. The first film is Alvin and the Chipmunks: The Road Chip, which is due out December 18. Fox hopes to continue the success of the franchise, which has banked over $1.1 billion at the box office . The other two films, The Revenant and Joy, are being distributed in limited release on December 25 before going wide in January. These two films are both expected to be major Oscar players and they star Leonardo DiCaprio and Jennifer Lawrence respectively . Fox signed an agreement with Oculus VR, making it the first major movie studio to invest in virtual reality as a way of showing their films. Over 100 films from Fox’s library will be released in the virtual reality cinema Oculus Video . Fox International Productions entered into an exclusive first look deal with Paul Heth and Michael Schlicht for Russian-language films. The duo is known for their successes as they have overseen five of the ten highest grossing local language films in the modern Russian film era . Fox announced plans to open its first Fox-branded resort in Dubai featuring rides based off of its most popular films including Titanic, Aliens, Predator, and Ice Age. It will open in 2018 and is planned to cost approximately $850 million . Tartaglione, Nancy. November 24, 2015. Deadline Hollywood. ‘The Martian’ Closing In On $500M Global: How Fox Marketers Brought Ridley Scott’s Cool Science To The Masses. Retrieved November 29, 2015. Maze Runner: Scorched Trials. Box Office Mojo. Retrieved November 28, 2015. The Peanuts Movie. Box Office Mojo. Retrieved November 28, 2015. Cunningham, Todd. September 8, 2015. The Wrap. Fox Fuels Yule Logjam With 3 Christmas Releases. Retrieved November 30, 2015. Geier, Thom. September 24, 2015. The Wrap. ‘Alien,’ ‘X-Men: Days of Future Past’ Among 100 Fox Movies Coming to Oculus Virtual-Reality Headsets. Retrieved November 29, 2015. Lang, Brent. November 3, 2015. Variety. Fox Building Theme Park in Dubai With ‘Titanic,’ ‘Aliens’ Attractions. Retrieved November 30, 2015. 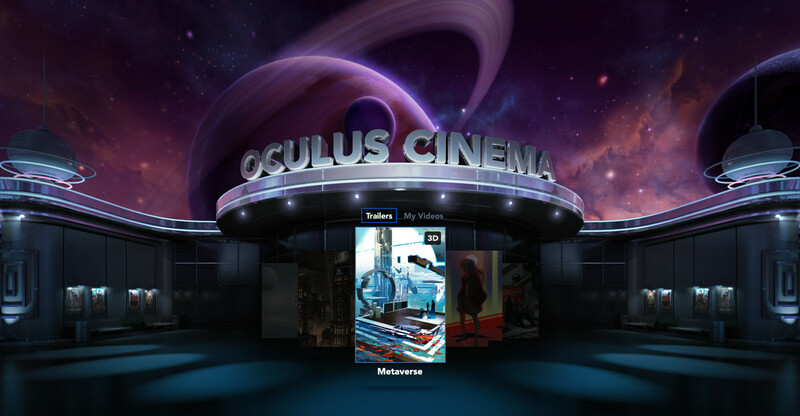 Oculus Cinema. Oculus VR. Retrieved November 30, 2015. Focus Features is a film production and distribution company that serves at the art house film department of the NBCUniversal brand. Started in 2002, Focus Features is currently run by CEO Peter Schlessel, who took the helm in late 2013 after Focus and the FilmDistrict merged in 2013 . Focus Features has had great success over the last 12 years with critically acclaimed releases like Brokeback Mountain, Dallas Buyers Club, and Lost in Translation just to name a few. The former being the most successful Focus Feature production to date, grossing $83 million and receiving 3 Academy Awards and receive nominations for 5 more along with a slue of other awards . Catering usually to more specific audiences then some of the major production house, Focus Features is currently ranked 12th for top grossing production companies in the 2014 year, with a total gross of $104 million, which puts them in control of 1.1% of the current market share . Though falling short to its 5th ranked older brother Universal Pictures, the smaller production company has managed to sustain an average gross of $8.7 million per release over the course of its 11 releases in 2014 . With award season approaching, Focus has the potential to see continued growth in revenue through the beginning of 2015. With Oscar buzz surrounding actor Eddie Redmayne of Focus Features most recent release The Theory of Everything, a nomination for best actor has the potential to increase revenue by about $600,000, where a win in the category could yield nearly $6 million in increased revenue. Though Focus is only responsible for a small portion of NBCUniversal’s $1.4 billion filmed entertainment revenue, the small production house continues to boast impressive figures. The biographical film chronicles the life of astrophysicist Stephen Hawking as he fell in love with his wife Jane, explored the science of universal time, and struggled with the debilitating neurological disease of ALS. Eddie Redmayne, who plays Steven Hawking, has already been labeled by Variety as one of the main contenders for the Best Actor Academy Award. The film, which opened November 7th in a limited release to 5 theaters grossed $208,763 and continued to succeed as it hit a wide release November 26th in 802 theaters and grossed slightly over $5 million in its wide release opening. As of December 1st the film has grossed $9.6 million and has the potential to see continued success as the holidays and award season approaches. A political thriller starring Academy Award nominated actor Jeremy Renner, tells the story of journalist Gary Webb, who stumbles across a dark story that involves drugs and government cover-ups. The film opened October 10th in 374 theaters and grossed $941,809 in its opening weekend. At its widest relapse the film was only in 427 theaters and to date has only grossed $2.4 million, having been stifled by the Buena Vista release of “Alexander and the Terrible, Horrible, No Good, Very Bad Day” which was release the same day and saw far greater success. This family film tells the tail of an adventure of a group of unique creatures as they raise an orphan and fight for their lives in an effort to thwart their local town villain. This film has been the most successful release for Focus Features this year having grossed nearly $50 million. The feature opened September 26th 3,464 theaters and gross $17.2 million, which accounted for 34.9% of the films total gross domestically. The film went on to gross $56.2 million worldwide, making a total of $105.7 million, which is a huge success not only for Focus Films, but also for the small Oregon based stop-motion animation house Laika Studios, which carried out the animation for “The Boxtrolls.” The small animation studio also produced “ParaNorman” and “Coraline” for Focus Features, which are both in Focus Feature’s top 5 for most successful domestic grossing films. Only days after the opening of “The Boxtrolls”, Focus Features signed an agreement with Laika to work with them on 3 more feature length films. This agreement proves to be especially wise when looking at the fact that all three of the films that Laika and Focus have teamed up on have grossed over $100 million world wide, making them highly profitable. There is still room for more success in the coming months, seeing that “The Boxtrolls” received 13 nominations in this years Annie Awards, and is only expected to receive more nods as award season get underway. Focus Features consistently releases 10-12 films a year, making them a highly productive production house for the scale of their operation. As of now, Focus has announced a few new projects that will be coming up in 2015 which will have the potential to make quite a splash in the market place in the upcoming year. One of the more anticipated Focus Features releases of 2015 is the adaptation of the novel 50 Shades of Grey. The popular 3 part book series will be treated as a trilogy by focus and will follow the saga of the novels quite closely. The film is scheduled to be released on Valentines Day, offering an interesting option for holiday viewing. Another highly anticipated 2015 Focus release is the upcoming release starring Jude Law, “Black Sea”. The apparent action movie casts Law as a submarine captain who is working with a team of Russian and English crew members to salvage Nazi gold in a sunken U-boat. The film is scheduled to be released January 23 of 2015. The future for Focus Features appears to be very bright. With a recent 3 film deal with Laika Studios, this is a air of optimism, because with the success of the studio’s earlier films, we can only assume that with the proper marketing and distribution the next 3 should be just as successful. Also with the “50 Shades of Grey” series on the horizon, there are multiple prospects for continued growth. As we see the success of Comcast and NBCUniversal and their continued growth, the potential for the expansion of Focus Features is exponentially increased. Directed by Ron Howard, this film stars Chris Hemsworth, Cillian Murphay and Charlotte Riley.